You'll get great instructors, great value and great results. We believe the old saying: "You get what you pay for" and we are determined to ensure all our customer receive value for money. At Excel Drive, we pride ourselves on offering a customised driving lesson to any driver that completes our program. We operate throughout Hoppers Crossing and Werribee, Frankston and the Mornington Peninsula, Dandenong and the Dandenong Ranges including Ferntree Gully, and south-east suburbs such as Lilydale, Croydon, Rowville, Berwick and Cranbourne. All of our driving lessons are tailored to your skill level and experience. We offer the option to book one lesson at a time or several in advance, and we also offer an express test course if your test date is close by. We're confident that with the help of an Excel Drive driving lesson, you'll pass your driving test on the first attempt. The main aim of our driving school is to make the transition from learner driver to probationary licence as easy as possible. A driver is most at risk when they receive their probationary licence and begin driving on their own, and we set out to reduce that risk as much as possible. For years, Excel Drive has been assisting young people learn to drive in a safe and comfortable environment, and we pride ourselves as one of the most reputable driving schools in Melbourne. We know that new drivers will love our approach to driving lessons – our highly qualified instructors tailor each and every lesson specifically to the skill level and experience of each individual student. What does this mean for you? Our driving school allows you to learn at your own pace, without the pressures that can often arise when learning how to drive. You can easily book and pay online, and start learning today. With a reputable Australian owned driver trainer program, our aim has always been to put safer drivers on our roads and therefore utilise the highest quality driving instructors and trainers nationally on an ongoing basis. At Excel Drive, you can be sure that all of our driving instructors in Melbourne have years of experience on the road, having obtained all the necessary qualifications and displayed a willingness to handle all types of drivers. We pride ourselves on having the best driving instructors in Melbourne, and whether it's your first lesson or your fifth, our driving instructors tailor each class to suit your experience and skill level. Each of our instructors specialise in both automatic and manual vehicles and have knowledge of the local areas and test routes. Learning to drive can be daunting but our promise to you is to get you feeling safe and confident behind the wheel with the help of a driving instructor in Melbourne and beyond – from Albury and Wodonga to the Mornington Peninsula and everywhere in between, our driving instructors will come to you. We at Excel Drive are committed to providing the most comprehensive Driving Lessons so that you’re sure to pass your driving test. Excel Drive understand that learning to drive for the first time can be daunting, which is why we’ve perfected our driving lessons so that you’ll feel more confident behind the wheel sooner than ever. Each driving lesson provided by us is tailored to suit the individual learner drive, thereby facilitating an environment where they are best able to learn to drive. Our driving instructors are experts, and we’re sure that under their guidance, you’ll be given the necessary knowledge and practice to ace your driving test. 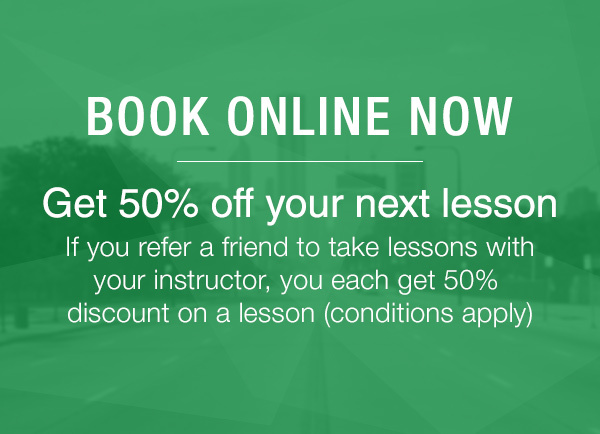 Whether you only require one driving lesson or ten, we’re here to help. Think you’re ready to take your test? You can be sure with Excel Drive’s express test preparation. These intensive 90 minute driving lessons will run you through everything you need to know and guarantee you’ll be passing the driving test the first time. 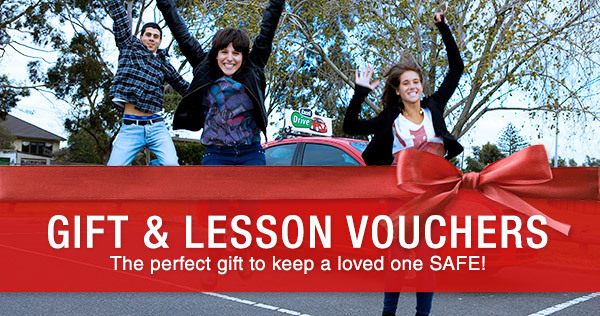 We’re confident our lessons are the most comprehensive driving lessons Melbourne has on offer. More than just setting you up for a pass however, we want all of our students to acquire the necessary skills, through our driving lessons, to become safer drivers on the road. There’s no question that younger drivers are at a high risk on the roads, so we like to ensure that every driving lesson we give has a clear focus on becoming a safer driver, and that passing the driving test will naturally follow. Ours is the driving school Melbourne can trust. For more information about our driving lessons Melbourne learners thrive under, or to book a lesson, email or call us today.